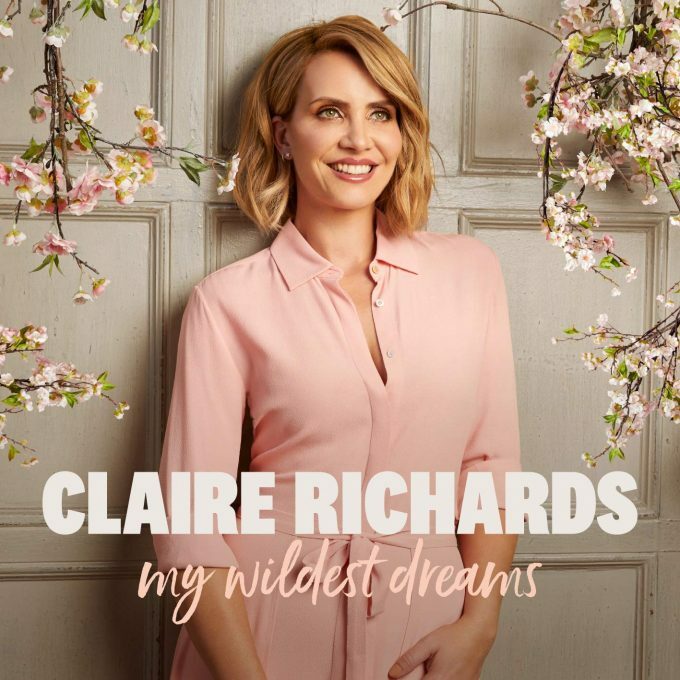 For a project I thought would literally never happen, I was beyond excited when Claire Richards announced her debut solo album ‘My Wildest Dreams’ last year. Since her time in Steps (of which I am also a big fan), her voice has shouted the need to be heard outside the sparkly pop music the band produces. As a part of the short-lived H & Claire duo, we got a glimpse into what might have been. But finally – FINALLY – she has a collection of songs to call her own. And there are some absolute moments of brilliance. Despite being delayed and following the modern release technique of dropping songs on almost a weekly basis, the album is both expected and surprising in the best ways possible. The collection of songs chosen for this album dance between mid-tempo pop bangers and sweeping emotional ballads – both styles her voice suits. She’s worked with some amazing writers and producers and the result is a high-quality pop album. So let’s talk about the pure pop moments first. Lead single ‘On My Own’ is the uplifting introduction to the album and still remains a strong song of empowerment all these months later. I love how confident Claire sounds here on her own. The latter half of the song is real belter and I love it. ‘7 Billion’ is another amazing tune featuring brilliant writing from Ayak Thiilk (who herself has written some pretty great tunes). It focuses on the message of love and it’s a great sentiment that Claire is believable singing about. ‘Shame On You’ and ‘Deep Waters’ are both worth a listen from the cluster of more pop-focused songs for their catchy choruses. My other favourite song from the more upbeat songs is the title track ‘My Wildest Dreams’ mainly because of its link to the broader message here – Claire never thought this solo album would happen but it finally has and I’ve got to say a lot of her fans will be excited too. It’s a lot of fun. Elsewhere, there’s a clear focus on classic ballads. There are three that really stand out for me and which are worth mentioning. First is the Ash Howes/Biff Stannard (Spice Girls, Kylie Minogue, Will Young) penned ‘Ruins’. They know how to create moments and this song is no different. It sounds like it was written with Claire in mind (and it very well might have been). It’s effortless and such a stunning moment. Next up we have ‘These Wings’ which Claire performed as part of her promo on ‘The Graham Norton Show’ (she knocked her performance out of the park). The second half of that song is nothing short of epic. The runs and arrangement showcase her vocal abilities and it’s a great reminder of just how talented Claire is. Finally, ‘Don’t Leave Me In This Love Alone’ is classic Dianne Warren. Sorrowful yet powerful lyrics supported by some amazing chords and strings, it’s a dream come true for both Claire and her fans. It’s classic and I’m grateful music like this is still being produced. You might have gathered by now I am a pretty big fan of some of the songs here. And that’s the problem. The consistency across the album isn’t here thanks mostly to the track ordering which flip flops back and forth between the up tempo songs and ballads with a couple clangers thrown in. I can’t stress enough for albums nowadays how important the running order is and this one lets Claire down. It lacks a cohesive story throughout despite the songs all being well written and of a good quality. This minor gripe along with some questionable bonus tracks is really all I can fault. There is so much to like elsewhere here. I would love to see Claire do some side shows if Steps ever come to Australia (hello smaller Sydney Opera House theatres) because I think there’s a lot of love for her in Australia still and she deserves to play amazing venues. And when you’re making great pop music, that’s what matters. I am beyond thrilled that Claire’s solo debut is a strong one. It’s beyond my wildest dreams too. MUST LISTEN : 7 Billion, My Wildest Dreams, Ruins, Don’t Leave Me In This Love Alone.